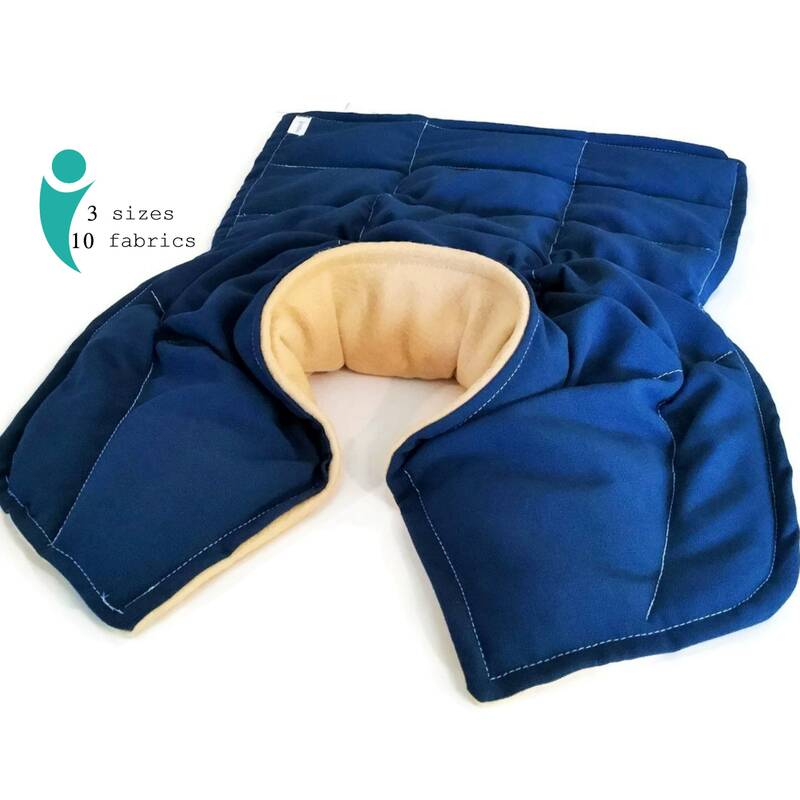 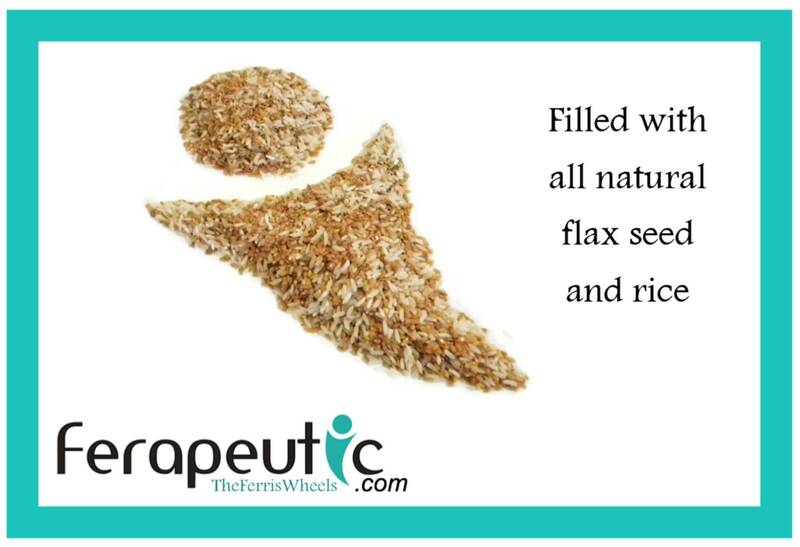 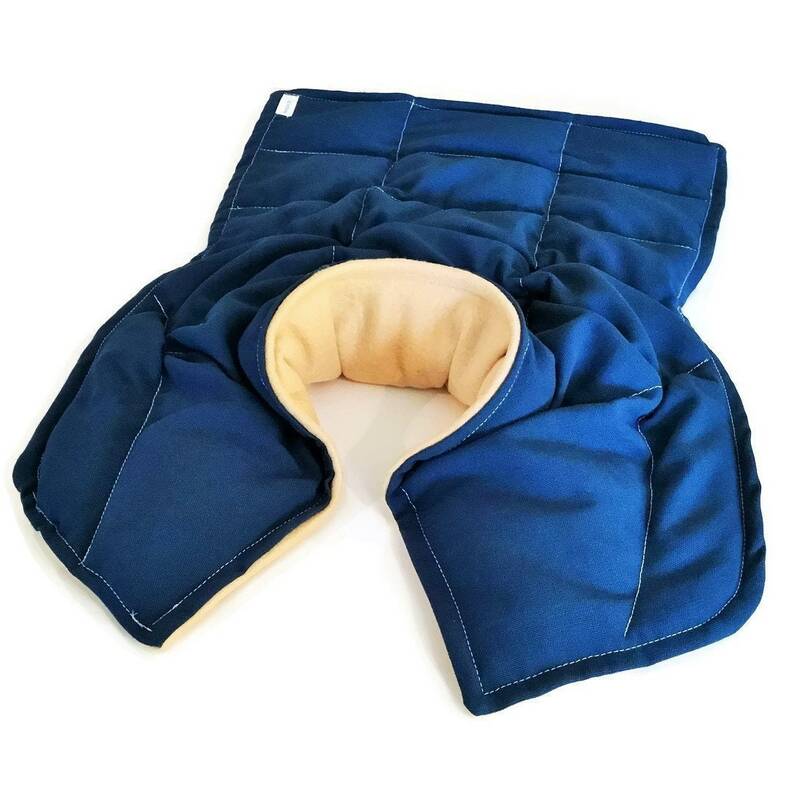 Extra Large Flax and Rice Filled Heating Pad covers high on the neck, the shoulders and hangs down the back. 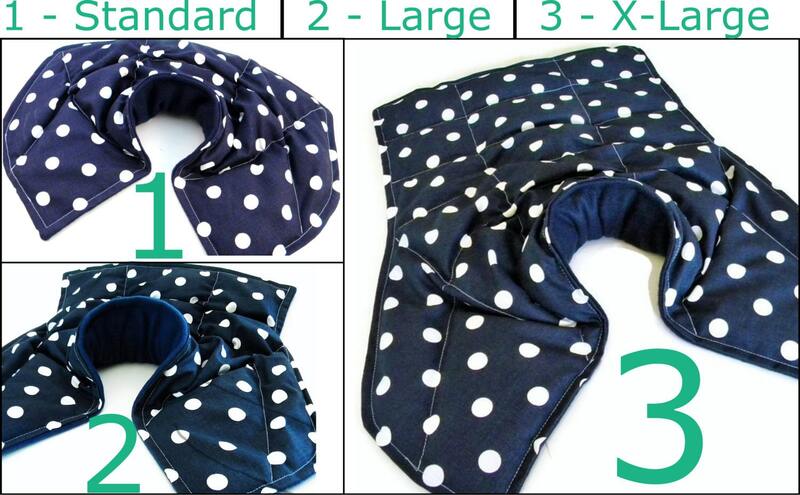 The extra large is man sized for great coverage. 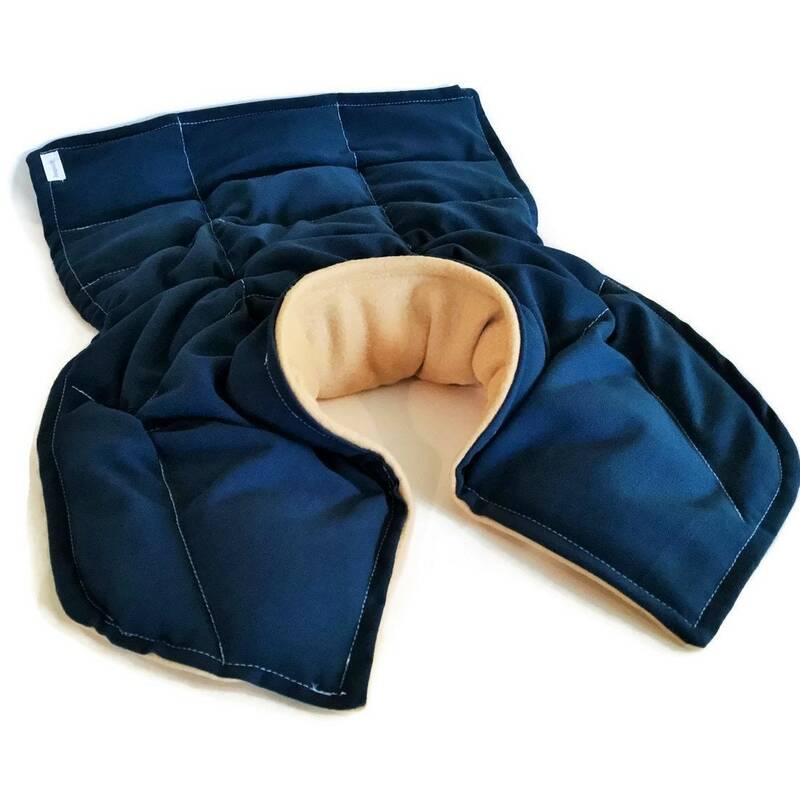 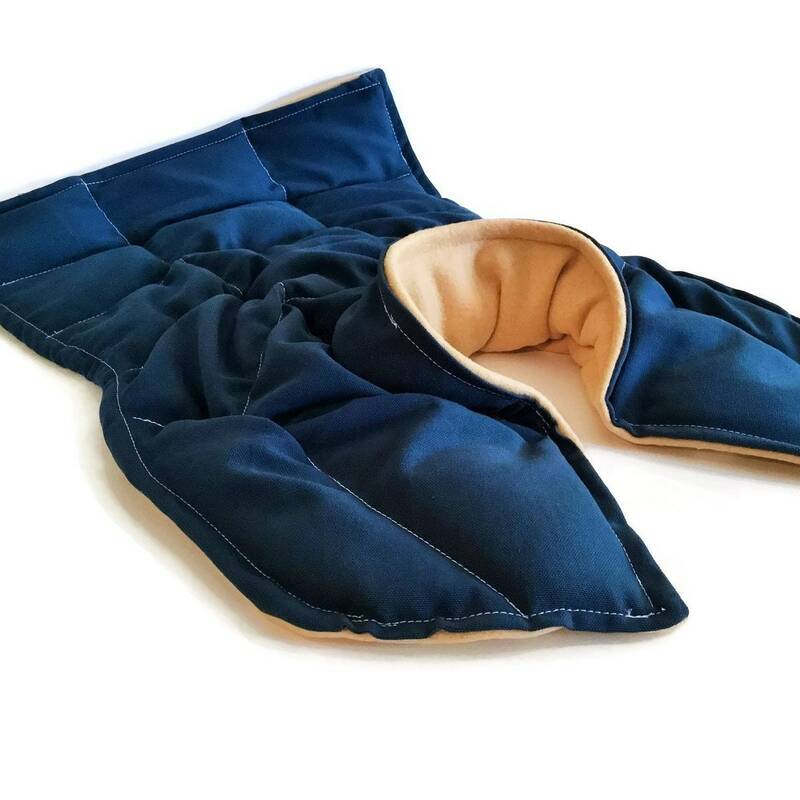 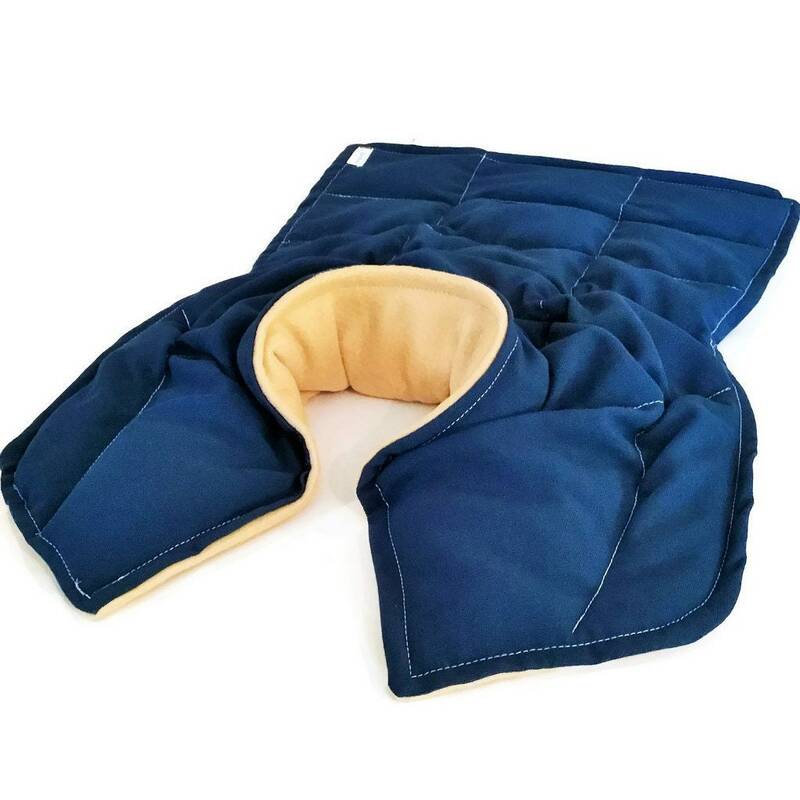 Three sizes available from standard to the extra large heat pad pictured. 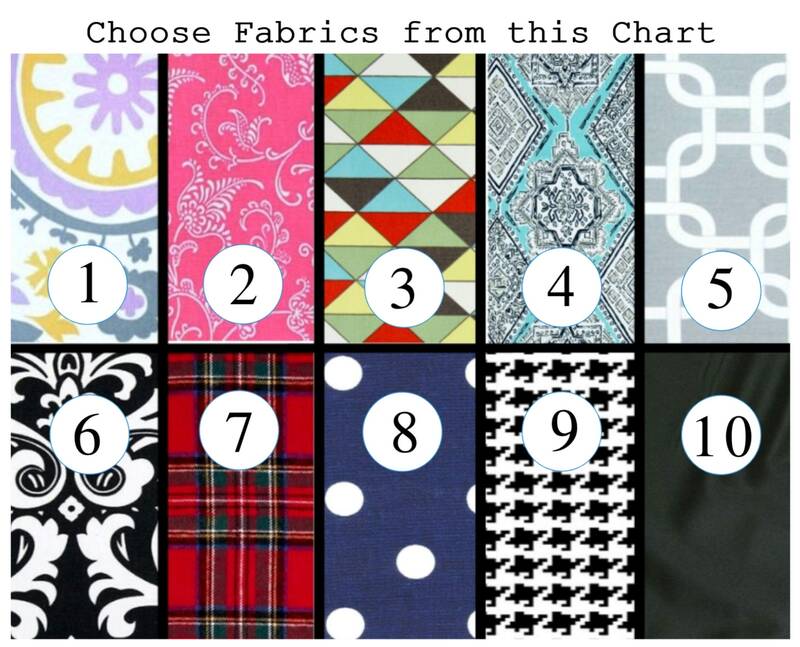 Scroll or swipe photos to see the size and fabric charts.